WHITE WATER RAFT YOUR WAY AROUND THE PLANET WITH OUR LIST OF THE TOP PADDLING DESTINATIONS ON EACH CONTINENT. Do you rank your fun potential by Class I through Class V? 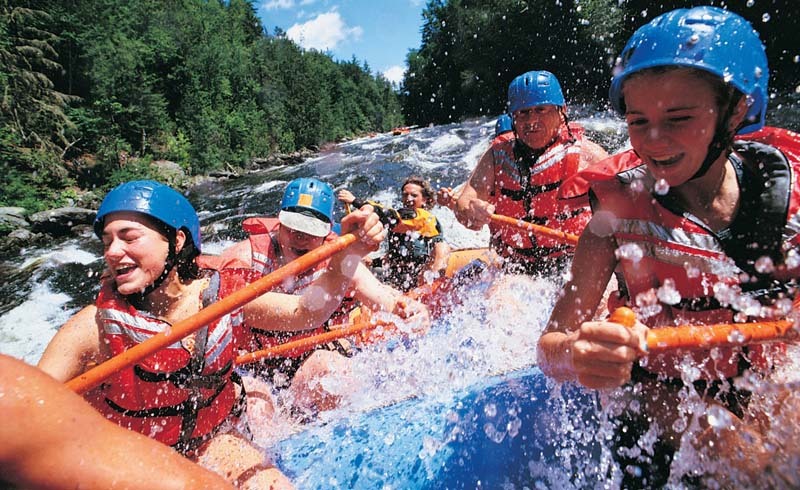 White water rafting is the ultimate adrenaline sport for travel, mixing high-action thrills with open access to untouched wilderness, riverside wildlife, and remote villages. Put your money where your paddle is and book a rafting trip to one of these top whitewater destinations. The adventure sport capital of South America does not disappoint when it comes to white water. Baños is surrounded by snaking rivers appropriate for rafters at all levels – first timers will head toward the Patate, while those with a few rapids under their belt will go for the Rios Pastaza or Palora. Sure, the rapids in nearby Teña are more advanced—but for the value and post-paddle atmosphere, you can’t beat Baños. Plan your trip for May in order to hit peak paddling season. The Zambezi River marks many things, among them the border between Zimbabwe and Zambia, and the line between a casual rafter and a fearless one. Almost half the rapids along the river are Class V, and with names like “Devil’s Toilet Bowl” and “Gnashing Jaws of Death,” you should have a pretty good idea of what you’re in for. One word of warning: avoid April and May as the rivers may close temporarily based on the seasonal rains. Oh, and don’t worry – the crocs are small. The Colorado River has spent eons carving its way into the Grand Canyon gorge, leaving colorful evidence of its struggles along the deep canyon walls. While most travelers only ever get to experience that view from above, those signing on to raft the historic river will get an entirely different perspective. While day trips are available, the best way to experience the Canyon is on a multi-day trip where you’ll spend nights on sandy beaches under the stars. Avoid June-August to bypass extreme heat and crowds, and aim for more pleasant conditions in April, September, and October. Bali vacationers can head inland for the Ayung River. It’s hard to tell what the bigger draw is – the Class II-IV rapids or the curious monkeys, friendly locals, simple Hindu shrines, narrow waterfalls, or intricate ancient carvings you’ll pass as you paddle along them. If you’re looking for a relaxing way to experience the scenic jungle, take a trip around May. If you’re looking to tackle the river at it’s most raging, aim for December, when water levels are at their highest. There are plenty of rivers vying for the title of “Best Rafting in Central America.” Among them, the Rio Cangrejal—located just 45 minutes outside La Ceiba, Honduras—is a top contender. Offering up an entrée of Class II-V rapids with side orders of hiking, cliff jumping, and ziplining, this jungle paradise is a delicious choice for any adventure lover. Rafters will hike through the rainforest to a starting point based on their experience levels, then buckle down for 7-14 kilometers (4.5-9 miles) of technical rapids. Rafters of all levels can be accommodated year round, but the river will be at its most intense in the wet season from September to January. The rafting craze has only just hit Croatia – meaning new rivers are being added to the white water menu all the time. The dam-controlled Dobra boasts Class IV-V runs during its May-November season, while the Cetina is a more leisurely grade II-III run sprinkled with caves and waterfalls and is most commonly visited from June through September. The most spectacular of them all might just be the Una River, which marks the border between Croatia and Bosnia and starts right below one of the highest waterfalls in Europe. 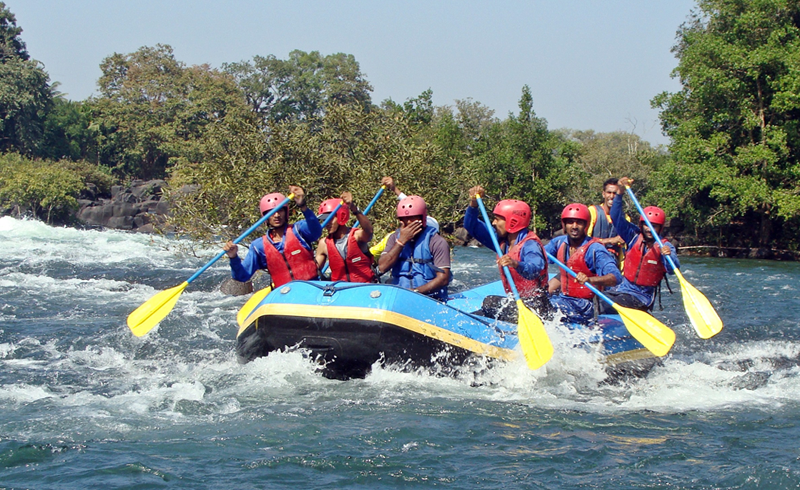 If that doesn’t get your adrenaline pumping, the Class III-IV rapids on offer from April-October surely will. What is your favorite rafting destination on the planet? Let us know in the comments section below!